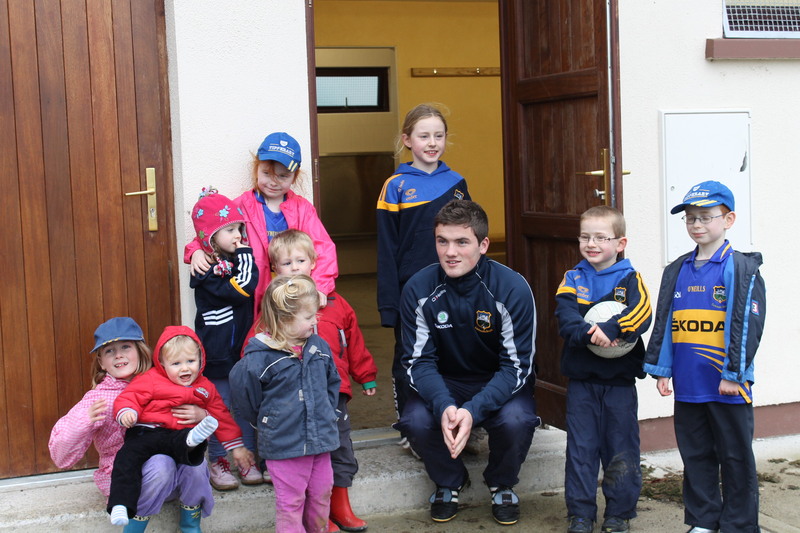 Many thanks to Liam McGrath who visited Cloneen last Saturday for a training and question and answer session with players from under 10 to under 16. Liam who lead the Tipperary minor Footballers to all Ireland glory this year refereed a fun game in the rain. Tipperary won their first All-Ireland Minor Football Championship title since 1934 with a sensational 3-09 to 1-14 comeback win over Dublin at Croke Park. Thanks Liam and the very best of luck for the future. We hope to see you here again with Sam!!! This entry was posted on October 25, 2011 at 11:08 pm and is filed under Football. You can follow any responses to this entry through the RSS 2.0 feed. You can leave a response, or trackback from your own site.